January is set to be a busy month. I have a couple of talks planned, lots of new clients and I’m still playing with numerous recipes for the blog. On the 18th of January, I’m hosting an introductory seminar at World Class Fitness, Brussels. I’ll be covering the basic principles of nutritional requirements, explaining why we need certain nutrients and how much we should be eating. I’m also going to look at how hormones interlink with metabolism and how we get energy from the foods we eat. They’ll also be a good bit of myth-busting going on and sound advice on how you can eat to reduce your risk of chronic disease. 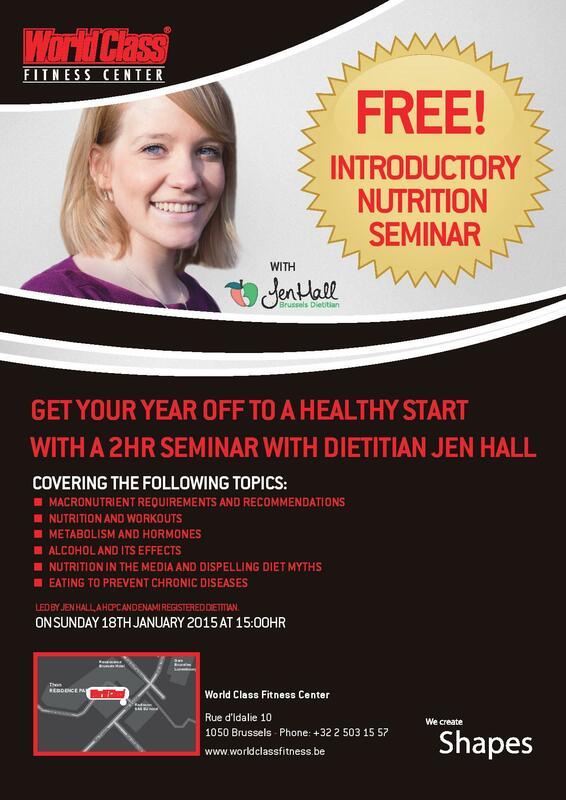 It’s free, so come along to learn a little about nutrition. I’m looking forward to meeting you!